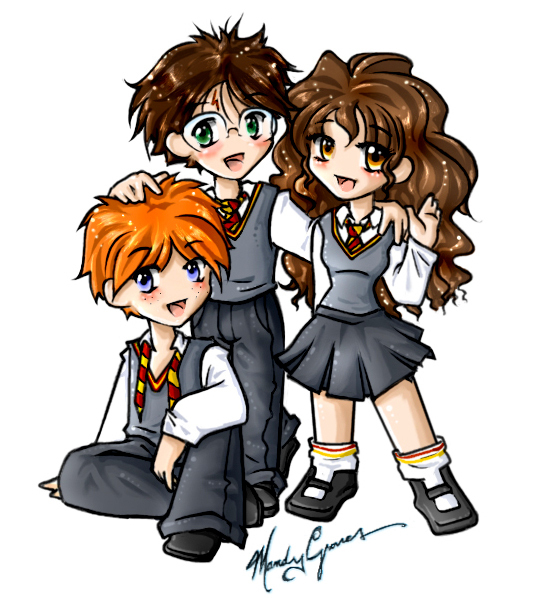 HP Fanart The Trio. Be careful, some may have spoilers.. Wallpaper and background images in the Harry Potter club tagged: harry potter hermione granger ron weasley deathly hallows trio golden. Be careful, some may have spoilers. looks gay. Harry and ron... he even has his tie hanging!